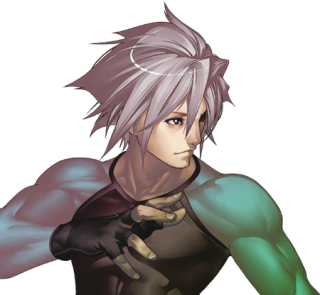 STORY: The year was December 25th, 1926. 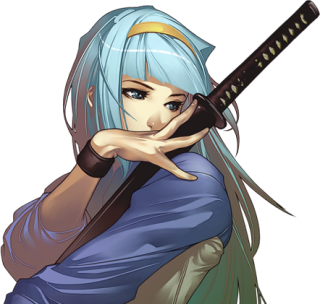 Japan was on the verge of welcoming a new era... the era of "Koubun". 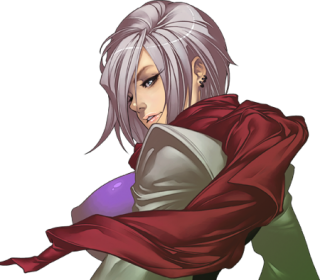 Instead, a revolution broke out, led by those who hoped to revive the Land of the Gods, Japan, and return her to its former glory. 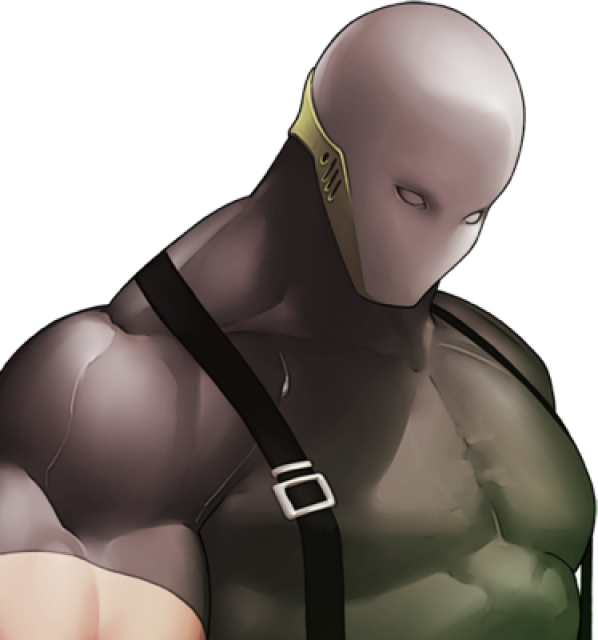 The Prime Minister's cabinet, the police department, the Zaibatsu families, the mass media... the flow of information to the outside world was immediately suppressed. 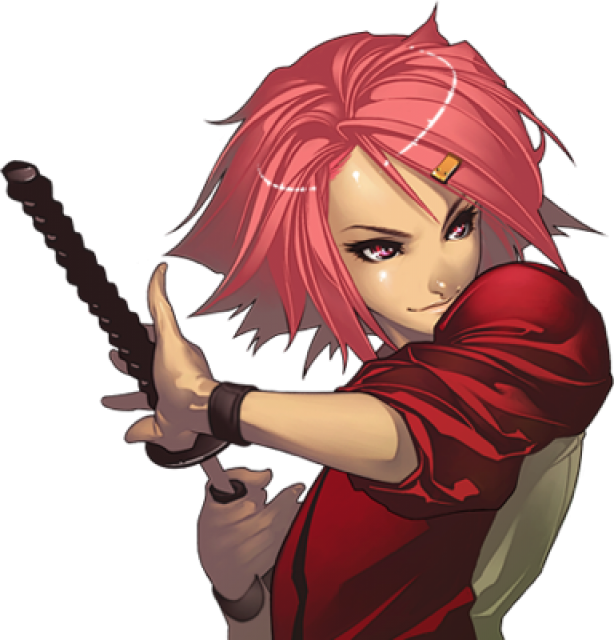 Out of options, the old government resorted to creating a group of elite assassins, called the "Yatagarasu" in order to maintain order and suppress the rebellion. 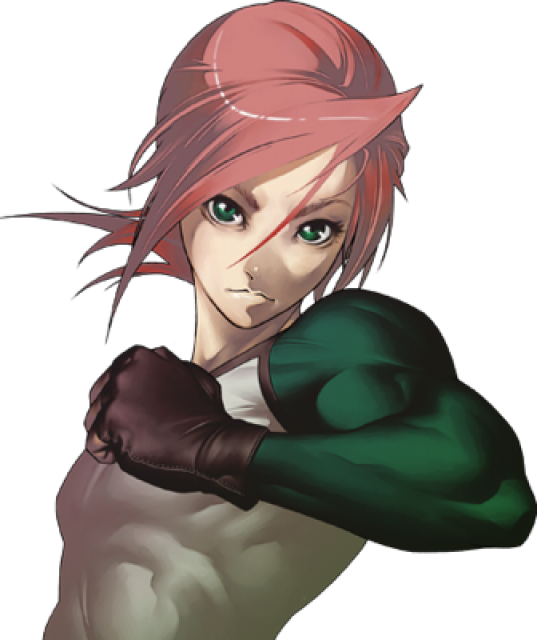 These government agents have become known as the "Government's Dogs" by the general populace. 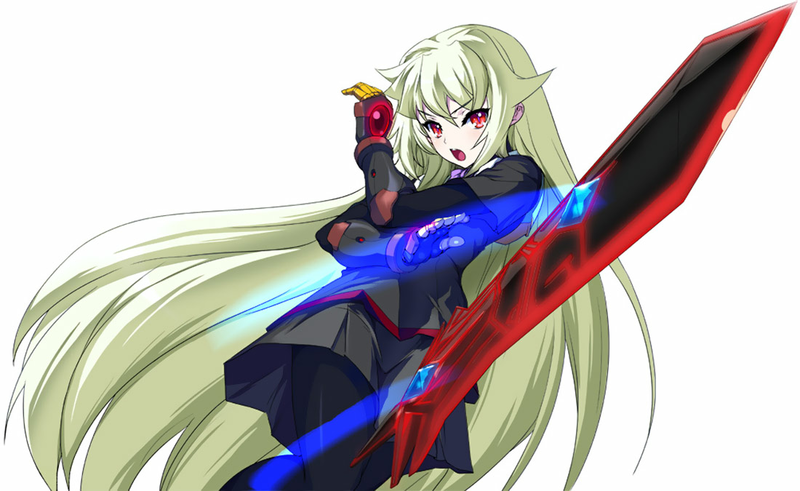 Now, they are on the move towards "Iga-sei", which is said to still function as the government's intelligence hub. Cute katana-wielding girl, check.... Creepy grappler dude, check. 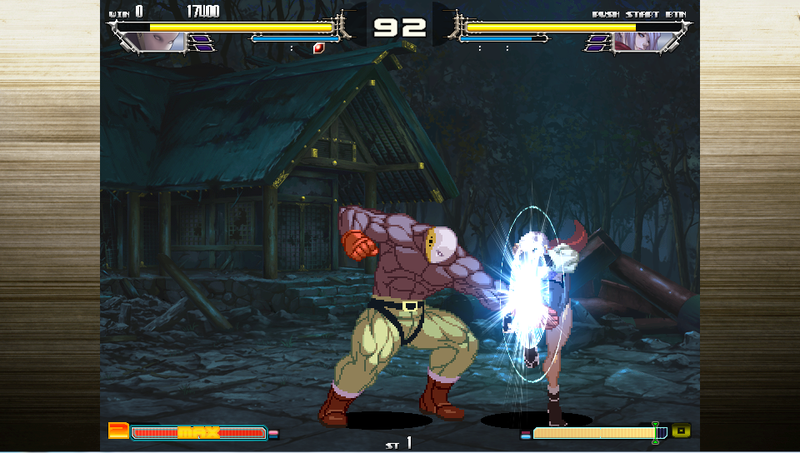 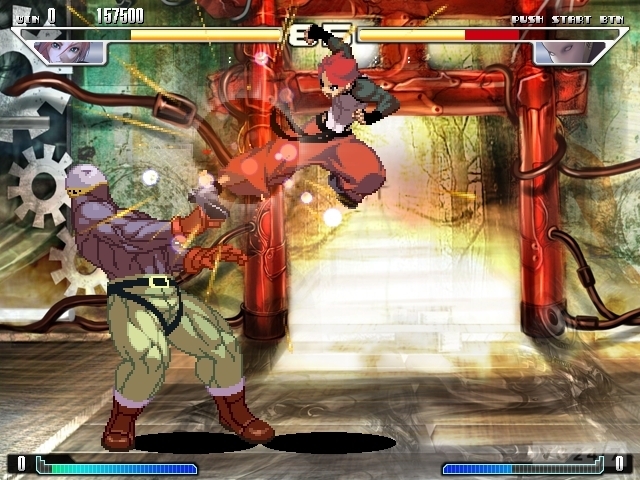 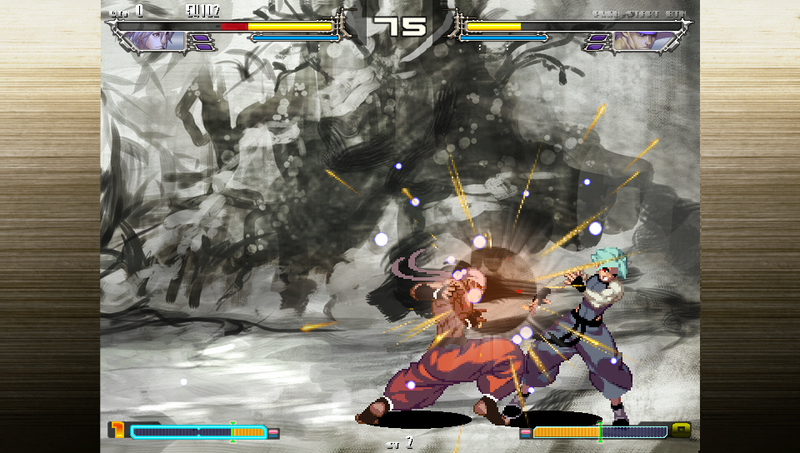 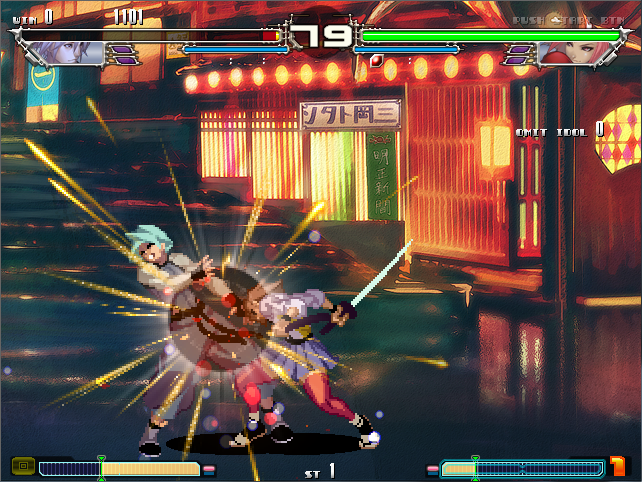 PREVIEW: Originally a Japan-only 2D fighting game, Yatagarasu was first released for PC in 2011. 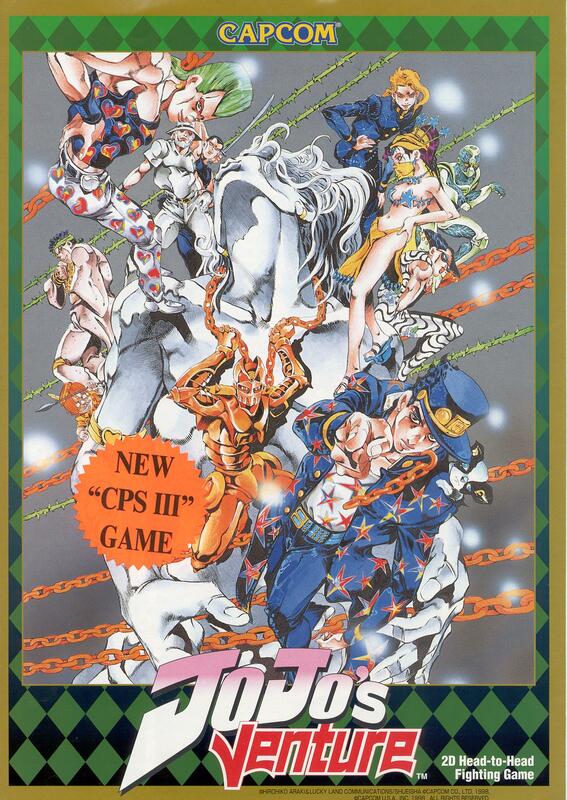 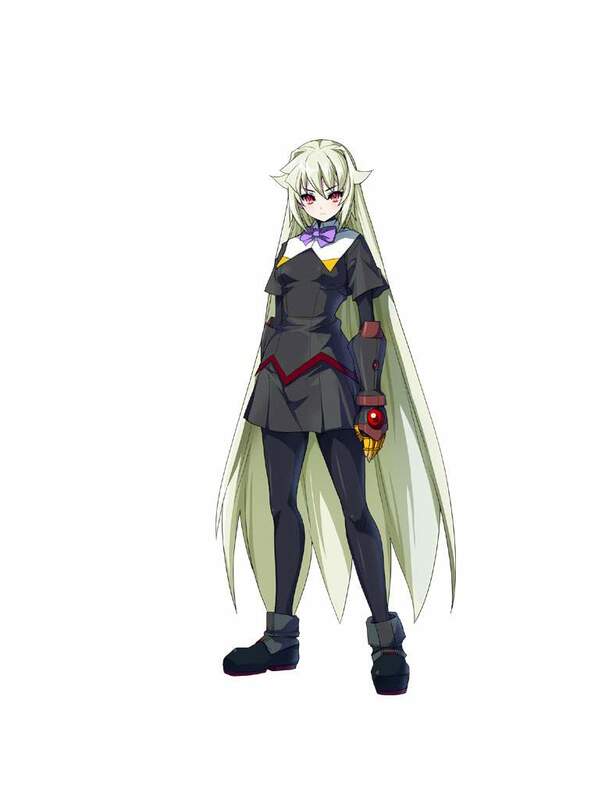 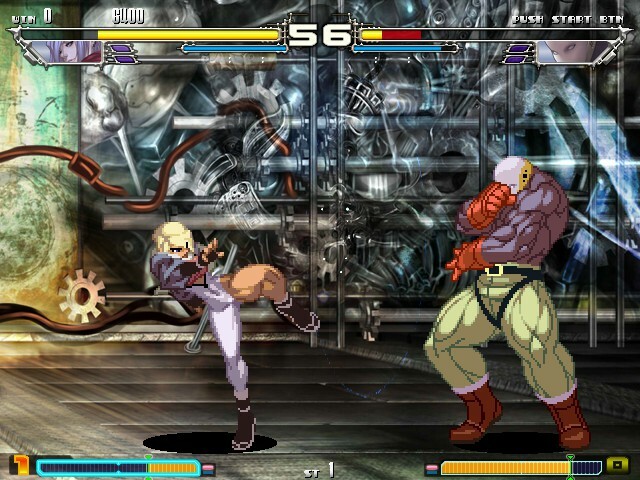 The game was created by Circle Edge, a 3-person team made up of former SNK talents, which include: Kotani Tomoyuki (art director & 2D sprite artist), Umezono (designer), and Shiza (game engine designer). In early 2013, Nicalis (publisher of indie titles such as Cave Story & La Mulana) announced Yatagarasu for the Nintendo 3DS, but then decided to move the project over to the PS Vita due to an "overwhelming response from the fighting game community". 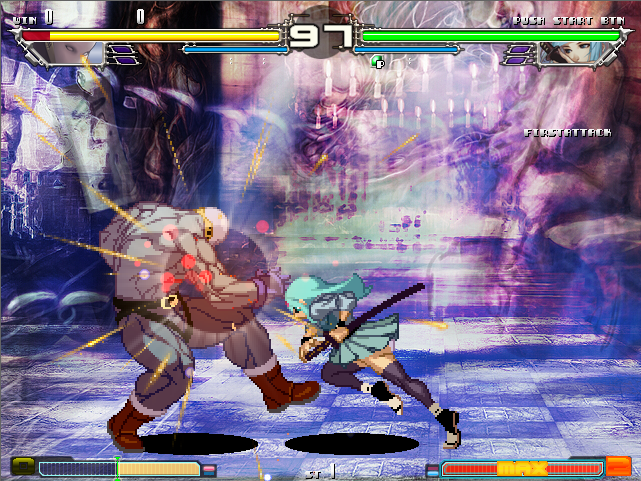 In August 2013, Nicalis announced Yatagarasu will arrive on Vita under the new name, Legend of Raven. 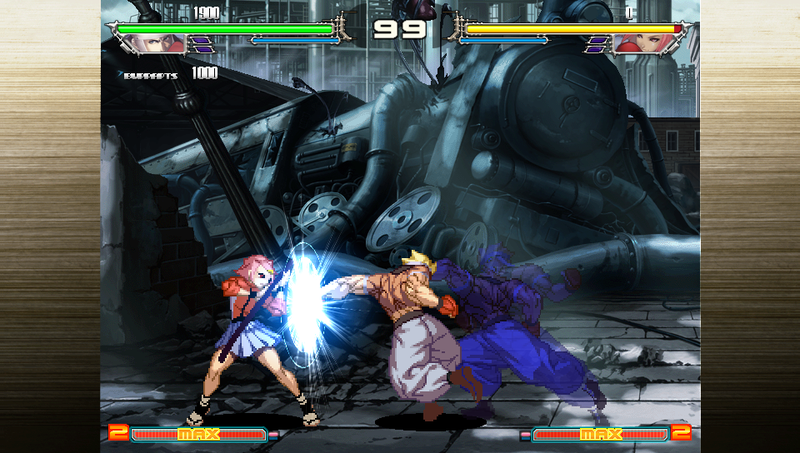 The portable version will include updated features such as GGPO netcode, an original soundtrack (created by The Dirty Youth), new parallaxing backgrounds, and ad-hoc versus play. 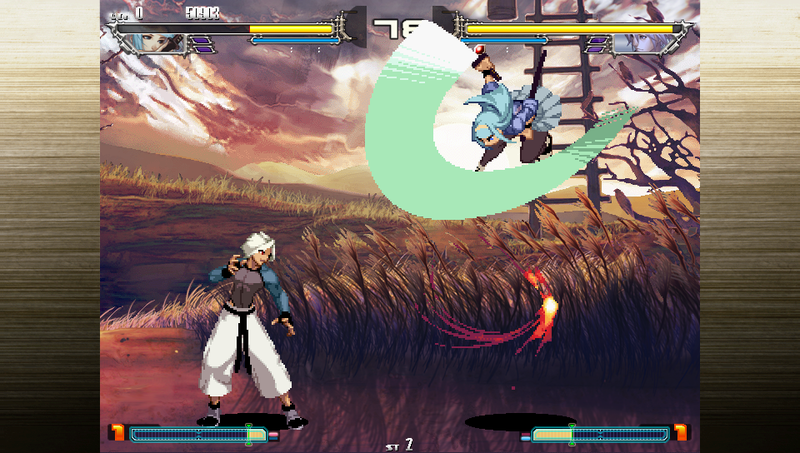 In November 2013, Legend of Raven was announced for PS4 and Xbox One, complete with GGPO netcode. 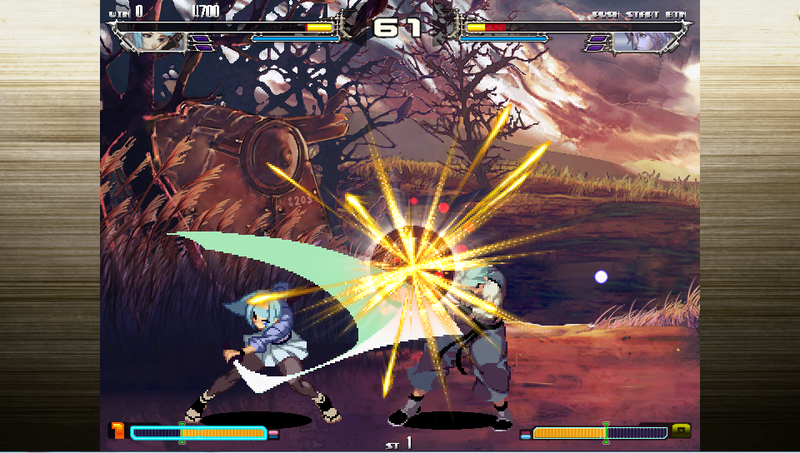 For the PS4/Vita versions, Legend of Raven will be a Cross Buy / Cross Play enabled title. 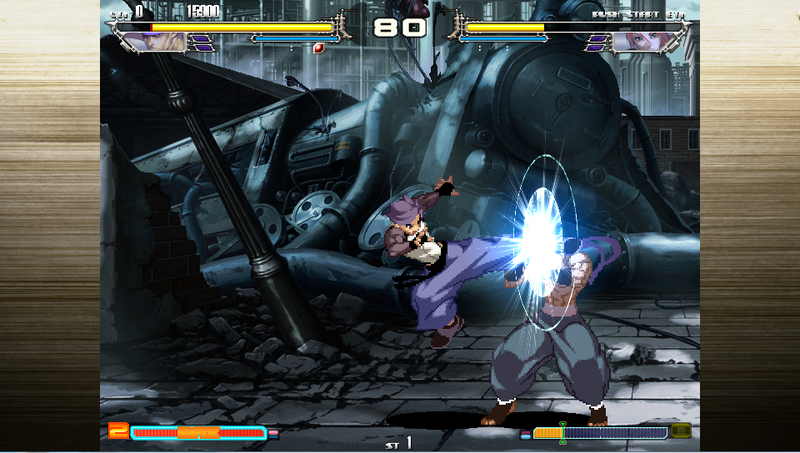 That means you'll get both versions for the price of one and can play others online across systems. 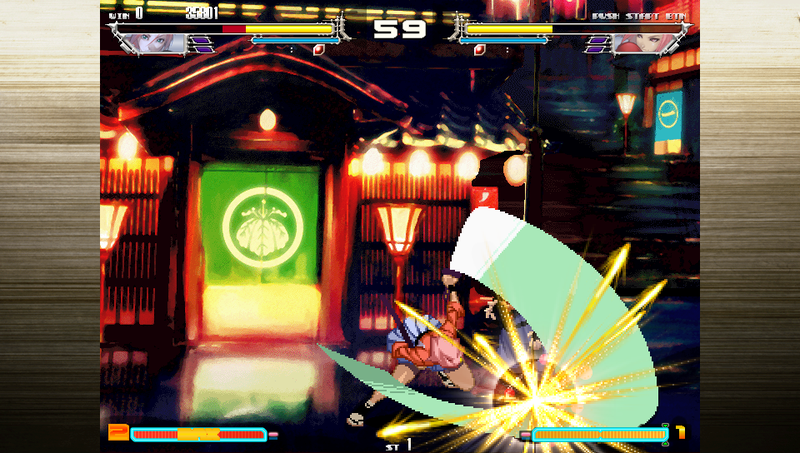 Yatagarasu will bring a traditional 2D fighting game experience to the Vita. 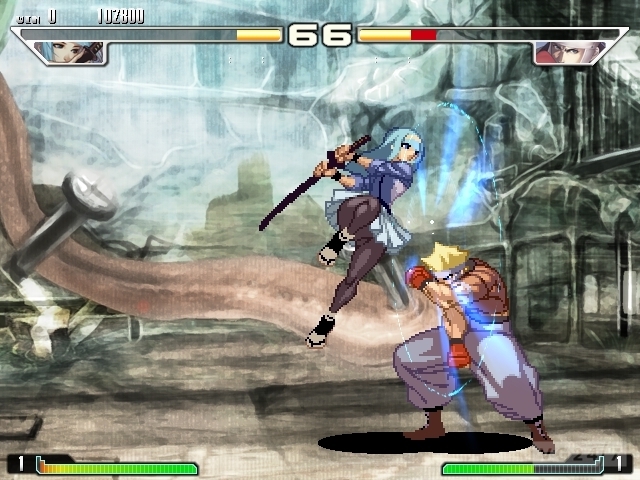 Yatagarasu's gameplay is comparable to King of Fighters and especially Street Fighter III: 3rd Strike, with user-selectable super moves, EX special moves which extend juggles, an innovative "button locking" parry system, and similar pacing (even a few of the movesets seem to resemble some familiar characters we know and love). 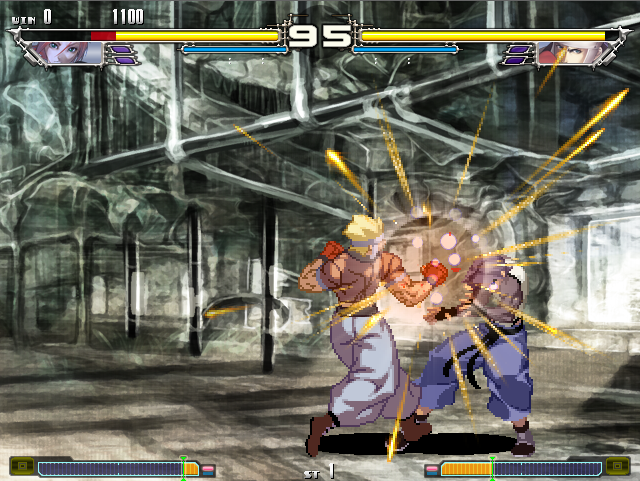 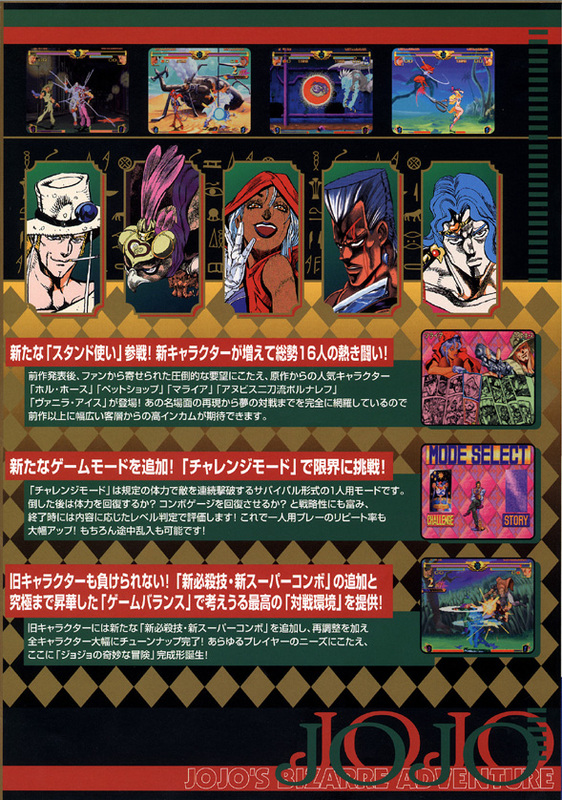 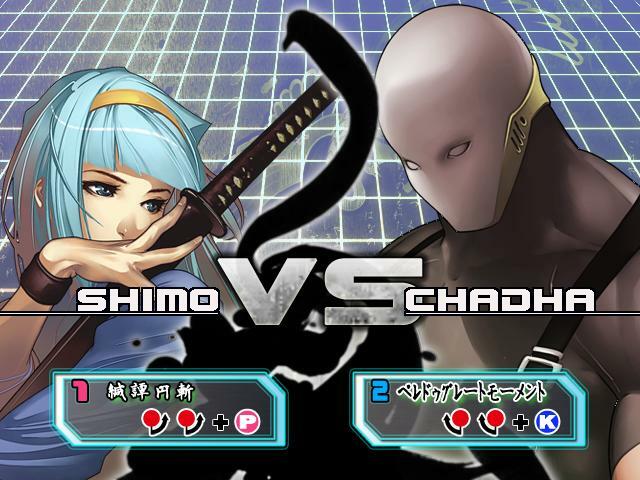 The game has a 6-button layout: 2 punches, 2 kicks, and 2 parries (high & low) and features 8 selectable characters. 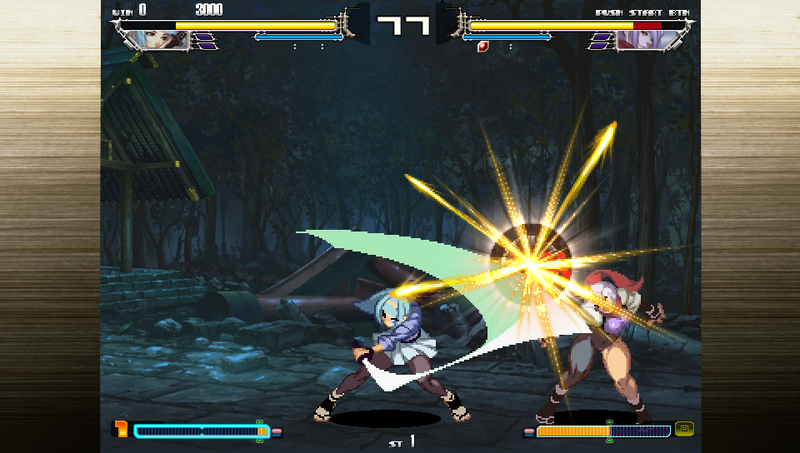 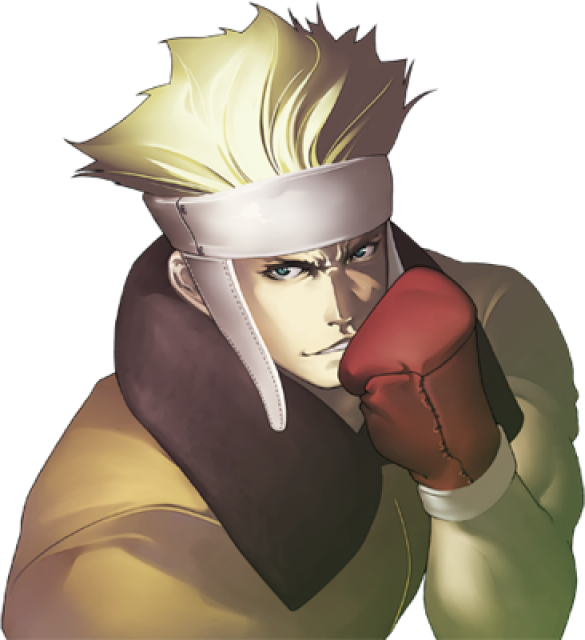 Also featured in the gameplay system are super jumps, dashes, chain combos (with light attacks), LP+LK throws, and a universal slow unblockable move (HP+HK). 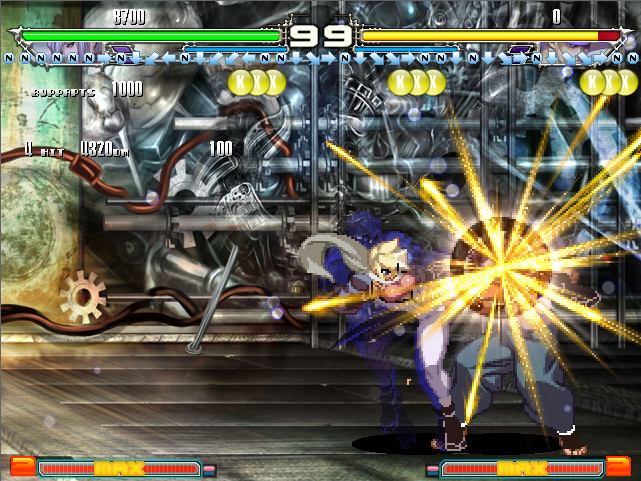 The game also introduces a unique damage mitigation system, where tapping the attack buttons to correspond with incoming attacks limits damage taken. 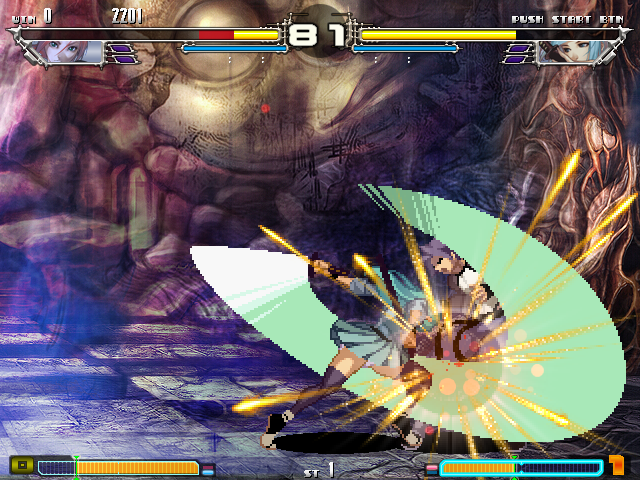 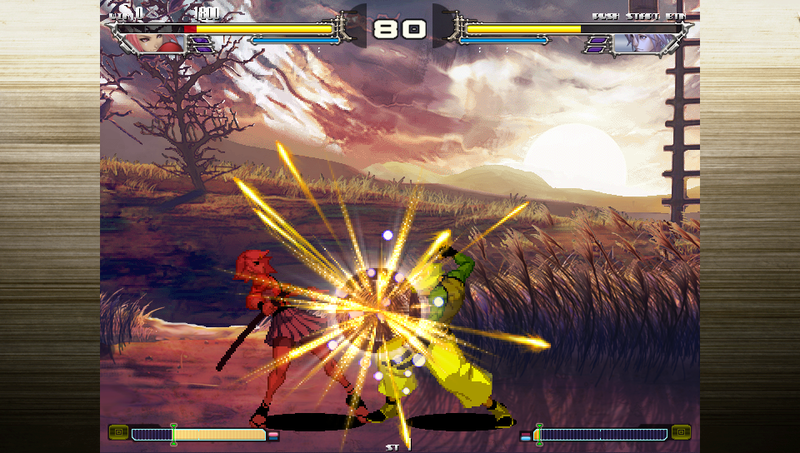 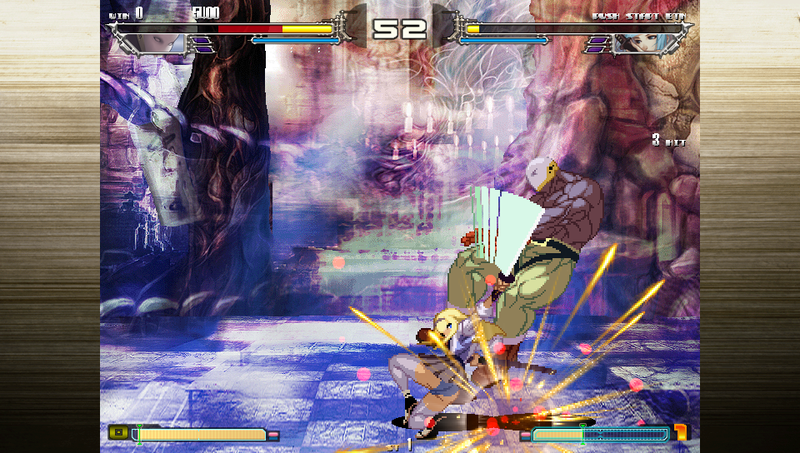 In 2013, the original developers of Yatagarasu held a successful Indiegogo campaign, raising enough to release a sequel called Yatagarasu: Attack on Cataclysm. 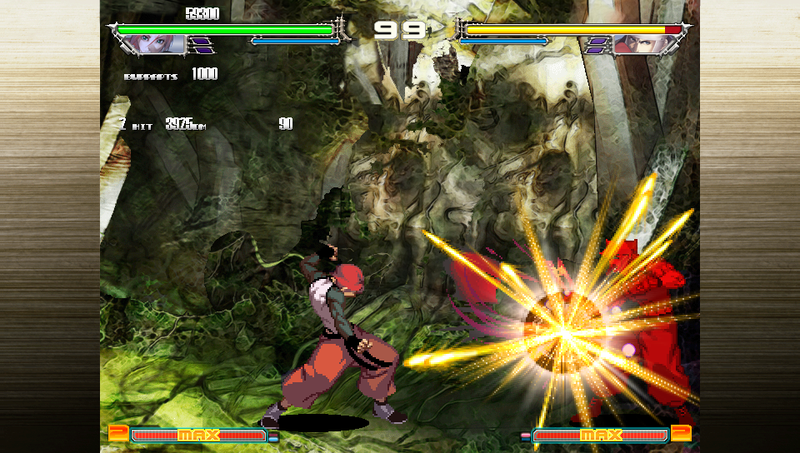 Three new characters, balance changes and updated gameplay systems appear in the sequel.